Start Something, the CED Blog: What does “Music as medicine,” “Text Mining” and an “Arrhythmia tracker” all have in common? What does “Music as medicine,” “Text Mining” and an “Arrhythmia tracker” all have in common? Do you have a solution that will make our healthcare system better? 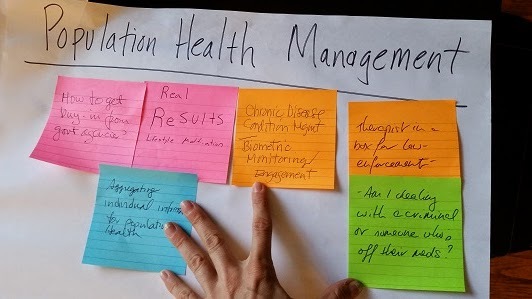 “Music as medicine,” “Text Mining” and “Arrhythmia tracking” are just three of dozens of solutions that will be pitched next Friday (August 8, 2014) at the inaugural health-focused Triangle Startup Weekend. If you have ever thought about starting your own health company or just want to join up with a team for a fun weekend, this is an event for you. Local food, beer, mentors and speakers like Dr. Victor Dzau of Duke Medicine will be in full swing. No idea is too small! · A disease prevention app that personalizes recommendations based on tracking and modeling of your online habits, and google searches. · ….and your idea could be here! Friday PM will kick-off with idea pitching and team formation. Saturday we have an all-star line-up of MD’s, providers, business coaches and technical liaisons ready to help you build your product. Then Sunday is time to reveal it all to our panel of judges, including representatives from REX Ventures and Excelerate Health Ventures. Expect dress to be casual with lots of energy, learning and networking with local healthcare thought leaders all weekend. Everyone out of the office, clinic or lab for the weekend, bring your best idea - it’s time to build a health start-up! Thanks to our sponsors Duke Institute for Health Innovations, Grass Routes Networking, RTI International, BD, American Underground and CED. As a sponsor, CED members receive a 20% discount on registration. Use "LUVTSW" when you register.